It affects up to 1.3% of the population worldwide, mostly women. New research indicates that diet may influence traditional treatments for rheumatoid arthritis. This article summarizes the current science and recommendations. What Is the Best Diet or Eating Pattern for Rheumatoid Arthritis? 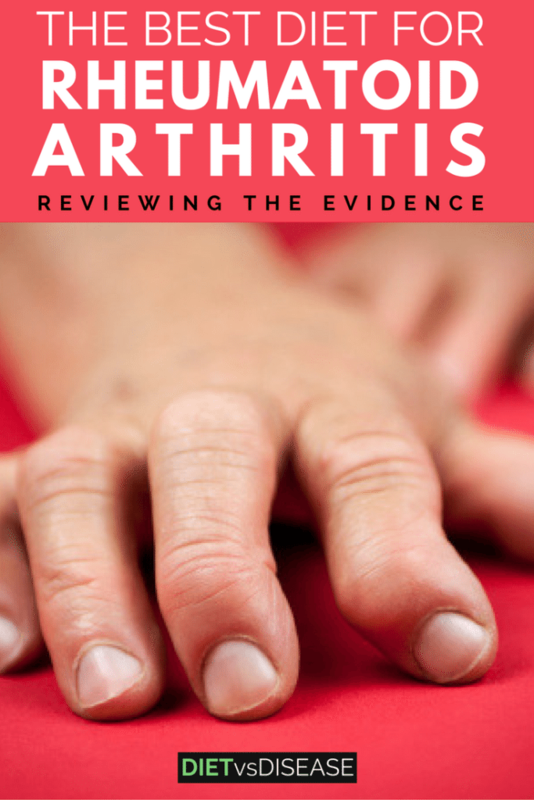 Rheumatoid arthritis affects the structure and function of the joints. A membrane called the synovium lines the joints, creating space and fluid for lubrication and movement. In rheumatoid arthritis, the immune system attacks the synovium. This leads to an inflammatory immune response that causes pain, joint deformity and disability as it progresses (1). The exact cause of rheumatoid arthritis remains unknown, but genetics and health of our gut bacteria appears to play a strong role. That said, those who carry the genes may never develop the disease. 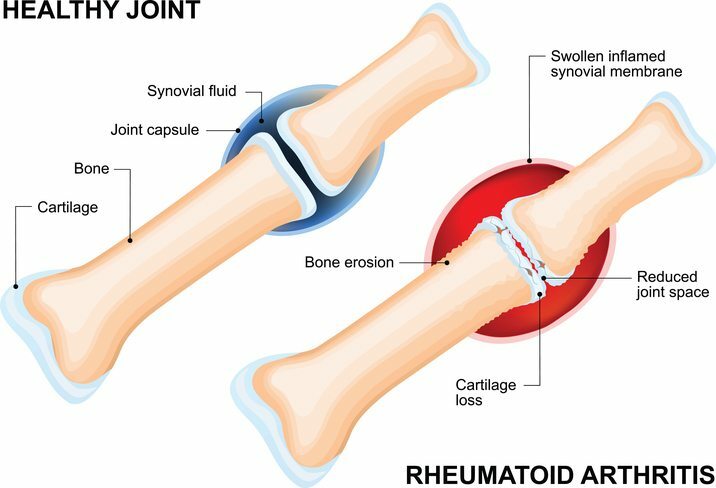 Summary: Rheumatoid arthritis is a condition in which the immune system attacks the lining of the joints. The exact cause is unknown. Rheumatoid arthritis symptoms may occur in “flares”, during which symptoms appear or worsen for a period of days to weeks. If you’re experiencing two or more of these symptoms please speak with your doctor. Left untreated it can cause permanent bone and joint damage within the first year. 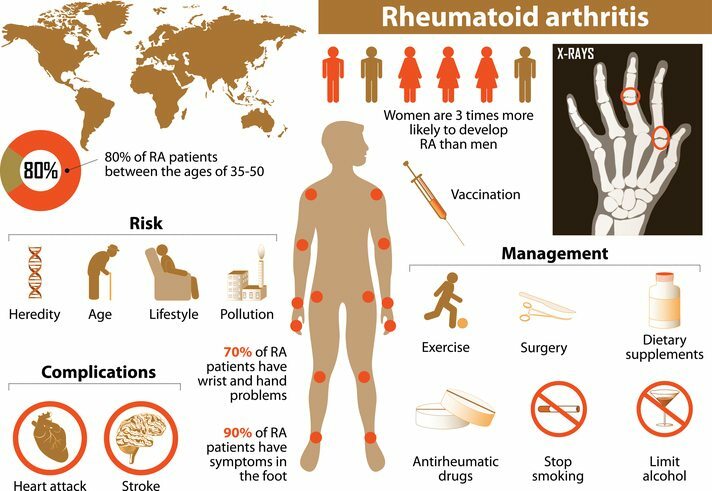 Summary: There are numerous symptoms of rheumatoid arthritis. Early diagnosis and treatment is key to preventing permanent damage to the joints. Medication is the first line of treatment for rheumatoid arthritis. This includes non-steroidal anti-inflammatory drugs (NSAIDs), anti-rheumatic drugs (DMARDs), and corticosteroids. However, early research and patient anecdotes suggest some pharmaceuticals and eating patterns can influence disease activity as well. This includes drugs such as adderall, and foods such as gluten and dairy. Those with an autoimmune disease, including rheumatoid arthritis, are more likely to produce anti-gluten antibodies (2, 3). These are the same antibodies seen in celiac disease, which is why celiacs must strictly avoid gluten. Researchers are unsure how gluten would directly impact rheumatoid arthritis, but it could be related to increased intestinal permeability or “leaky gut”. Some small studies have found benefits with a gluten-free diet, while others found no difference (4, 5). It seems that those who are producing anti-gluten antibodies will directly benefit from a gluten-free diet. For others, it will be an indirect benefit from cutting out junk foods that often contain gluten. Early research suggests that egg and milk consumption may be problematic. These foods produces certain immune antibodies and inflammatory markers associated with rheumatoid arthritis symptoms, at least in rodents (6). However, these effects are related to food allergy, as opposed to gluten which is a food intolerance. Therefore unless the individual already had symptoms of egg or milk allergy, it’s most likely not an issue. For this reason, if you suspect any food allergy or intolerance, see your doctor to be tested. Keeping a food and symptom journal is also helpful (a sample can be seen here). Summary: Rheumatoid arthritis may increase risk of gluten intolerance or celiac disease. 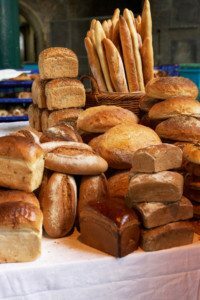 A gluten-free diet may offer symptom relief in those who are sensitive. Eggs or milk may also impact symptoms in those with allergies to either of those foods. The addition of certain foods and nutrients may help reduce rheumatoid arthritis inflammation. Most studies have used supplements rather than whole food sources, as a high nutrient dose is often required. Note that patients should not add supplements without medical supervision due to the risk of drug interactions and side effects. Omega-3 fats (especially DHA and EPA) from fish oil are known to have anti-inflammatory effects. In a study of 140 rheumatoid arthritis patients, one group had 5.5 grams of fish oil per day while the second group (control) had only 0.4 grams of fish oil per day. All participants were also given several anti-rheumetic drugs throughout the study. Both groups experienced a decrease in disease activity, but the first group had higher rates of remission (relief from symptoms) (7). Change in rheumatoid arthritis activity (DAS28-ESR) and modified Health Assessment Questionnaire (mHAQ) over 1 year. Lower score is better. Click to enlarge. So it appears that a fish oil dose of at least 2.7 grams of DHA plus EPA daily can boost the effectiveness of anti-rheumetic, at least in the first 6 months. An earlier fish oil study also found similar benefits. Interestingly, the effect was much stronger when paired with a largely vegetarian diet (low in arachidonic acid) (8). 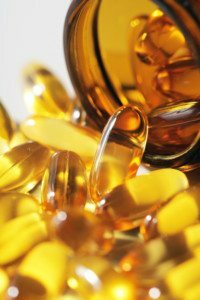 Note that fish oil supplements may interact negatively with certain rheumatoid arthritis drugs, so always speak with your doctor first. New research suggests a specific form of vitamin K2 (also called MK-7) can help improve the effectiveness of rheumatoid arthritis medication. Out of 84 rheumatoid arthritis patients, the first group received 100 mcg/day of MK-7 for 3 months, while the second group received dummy pills. The first group had large improvements for markers of inflammation and disease activity score assessment. Additionally, MK-7 use increased the level of the active form of osteocalcin, an important marker of bone health (9). It’s currently unknown if food sources of vitamin K2 have the same effects. Those with rheumatoid arthritis are at increased risk of bone disease because of chronic inflammation, decreased physical activity, and use of corticosteroids. 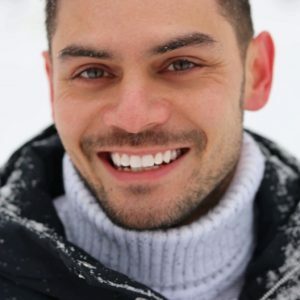 While vitamin D and calcium do not appear to directly affect rheumatoid arthritis risk or symptoms, it’s important to maintain adequate levels to reduce risk of fractures (10, 11, 12). Vitamin D is fundamental for good health and yet is the number one nutrient deficiency in the Western world. Where adequate sun exposure is not possible, vitamin D + calcium supplements are strongly recommended. Food sources are also recommended, including fatty fish, egg yolks, fortified milk, and offal. Summary: There are several foods and supplements likely to influence symptom management of rheumatoid arthritis. Fish oil and vitamin K2 have the strongest evidence so far. Limited evidence suggests that vegetarian and vegan diets are beneficial on their own (13, 14). In fact, many of the studies that endorse a vegetarian diet include more than one intervention for rheumatoid arthritis, such as fish oil, physical therapy or fasting (5, 8, 13). Vegetarian diets also tend to be lower in omega-3 fats and vitamin D, nutrients that could be significant in rheumatoid arthritis (15). Some may also find vegetarian diets overly restrictive if the sole purpose is for health reasons. The Paleo Diet is an eating pattern that eliminates several food groups. This includes wheat (gluten) and dairy, known to cause inflammation in some people. Anecdotal (self-reported) evidence indicates a Paleo diet helps with rheumatoid arthritis. This is likely because those sensitive to either gluten or dairy will immediately notice improvements. It’s also rich in omega-3 fats and cuts out junk food, which can only be beneficial. Unfortunately the Paleo diet also recommends cutting out affordable, nutritious foods such as legumes and potatoes, which is unnecessary. 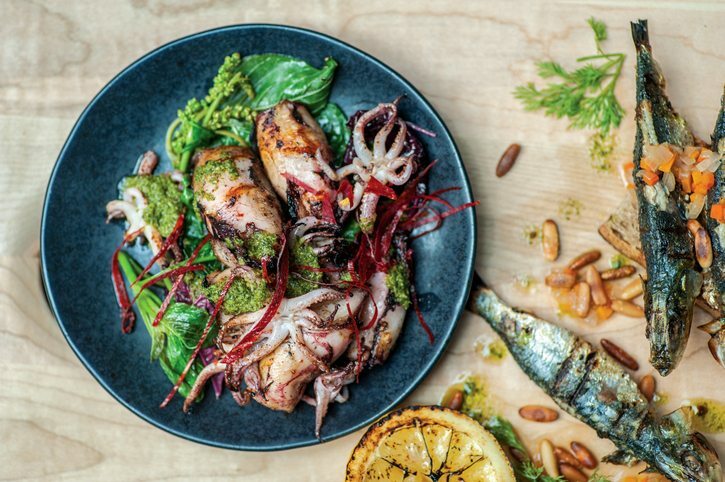 The Mediterranean diet consists of traditional foods that those in countries like Croatia and Greece ate before the 1970s. It emphasizes fruits, vegetables, legumes, whole grains, olive oil, and seafood. It’s shown promise for treating rheumatoid arthritis, possibly due to its favorable ratio of omega-3 fats to arachidonic acid (13). In a 3-month study of 51 rheumatoid arthritis patients, one group followed a Mediterranean diet while the control group ate a standard Western diet. 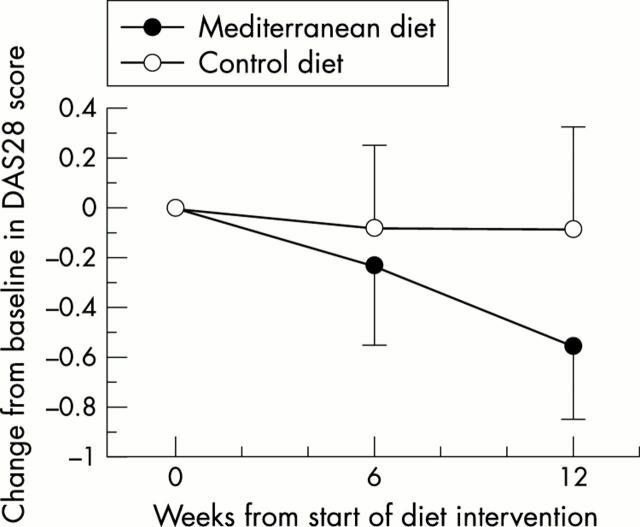 As you can see in the graph below, the Mediterranean diet group showed large improvements in physical function and vitality (16). Rheumatoid arthritis disease activity (DAS28 score) at baseline and at weeks 6 and 12 of Mediterranean diet vs control diet. Lower score is better. Click to enlarge. Summary: Limited evidence indicates a vegetarian diet is uniquely beneficial for rheumatoid arthritis. A Paleo diet may be beneficial for patients who are sensitive to gluten or dairy, but the additional food restrictions are unnecessary. The Mediterranean diet is quite well-studied in this area an appears the most useful. The following is a sample meal plan based on the research summarized above. It excludes gluten and incorporates principles from the Mediterranean diet. Water is the preferred beverage with all meals. Lunch: Lentil salad, 1 small apple. Dinner: 4 ounces oven-roasted salmon, 1/2 cup rice (cooked), ½ cup asparagus roasted in olive oil. Breakfast: Smoothie made with ½ cup plain Greek yogurt, ½ cup almond milk, 1 banana, and a large handful of spinach. Lunch: Tuna and Cannellini Bean Salad. Dinner: One-Pot Mexican Beef Skillet with Quinoa. Lunch: Pumpkin & Carrot Risotto. Dinner: Pan fried chicken breast with roast potato and veggies. There is compelling evidence that diet changes can complement traditional medical treatment of autoimmune disease. 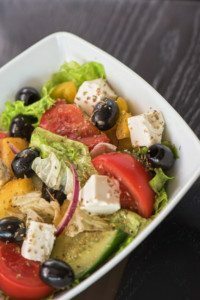 The Mediterranean diet in particular appears the most useful and well-studied diet for rheumatoid arthritis. Patients with suspected food allergies or intolerances may benefit from eliminating gluten from their diet. Dairy and eggs may also cause problems, but this is based on weak evidence. At the very least it’s worth trialling a gluten-free diet for one month to see if symptoms improve. Fish oil and vitamin K2 supplementation may also help combat inflammation, and are certainly worth a try alongside rheumatoid arthritis medications. But due to the risk of side effects or drug interactions, be sure to speak with your doctor before starting a new meal plan or supplement.